About the author: Sarah Kidd is currently finishing her second year absorbing the language and culture of South Asia. When not sipping chai and chatting with the neighbors, she's sipping chai and reading good books and blogs. She writes about her adventures at Whispers on the Journey (www.sarah-kidd.com). When I moved to South Asia, I expected there to be a lot of adjustment. But when my new life sharing a one-room house with three other women began, I thought I had reached the introvert’s limit. To sleep, we rolled out mattresses on the floor after dinner and rolled them up before breakfast. 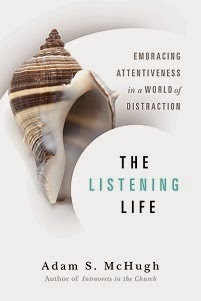 We spent every day in glancing distance from one another. I discovered that in my new language, Hindi, there is no distinction between the words “alone” and “lonely”. I felt like crying. After the sweltering 120 degree heat, pungent spices that made me doubt my taste buds would recover, and a language that reduced me to the verbal equivalent of a three year old – this, I thought, is the challenge that will crush me. My adopted South Asian family worried when I insisted I needed to spend Saturdays alone, wandering our city’s parks and mall. I’ve always wondered how they came to accept the explanation that, in Hindi, meant, “I need some lonely time”. When I moved out of their house, they were relieved that I moved in with two other roommates. At least I wouldn’t be “lonely.” I struggled to explain to new friends that I actually enjoyed the weekends when my roommates were away and I had the house to myself. I clutched at culturally appropriate ways to deflect their offers to spend the night so I wouldn’t have to be lonely. I slowly began to see that introverts do exist in this culture and learned how they found time to be alone. Volunteer to go to the market for vegetables or linger a few extra minutes on the roof when you take down the drying laundry. When others go out shopping for clothes, be the one to stay home and watch the house. Eventually, my roommates moved to other places. My South Asian friends dropped by frequently. Morning, noon and evening they came to share a cup of chai and make sure I wasn’t drowning in the sorrow of loneliness they expected. For one long year, each moment alone I managed to scratch out felt like a stolen, life-giving nectar. The flexibility that comes from what is new and unusual became the frustration of times alone constantly compromised. I prayed long, angry prayers to God. “What made you think a culture where alone equals lonely was the place to send an introvert?” If it’s possible to glare at God, I glared each time a friend forced their company through my door to keep me from being lonely. God’s quiet answer back was, “Trust me. Throw yourself into each exhausting encounter, and I’ll provide the rest you need”. So I struggled with my attitude when a day off became the day of three visitors. I tried to keep my tone with God civil when one emotionally charged day of personal counseling or ministry fed into a long weekend full of unexpected friends dropping by. And I found that He, better than I, knew what I needed. When my day alone got interrupted, I found that two or three days later – all of my appointments and classes would suddenly be cancelled and an unexpected mini-retreat would materialize. I found quiet moments in a crazy day when His presence allowed renewal and recharge to come faster than usual. 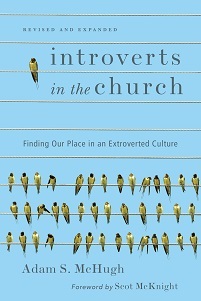 Want to write a guest post for Introverted Church? See instructions here.